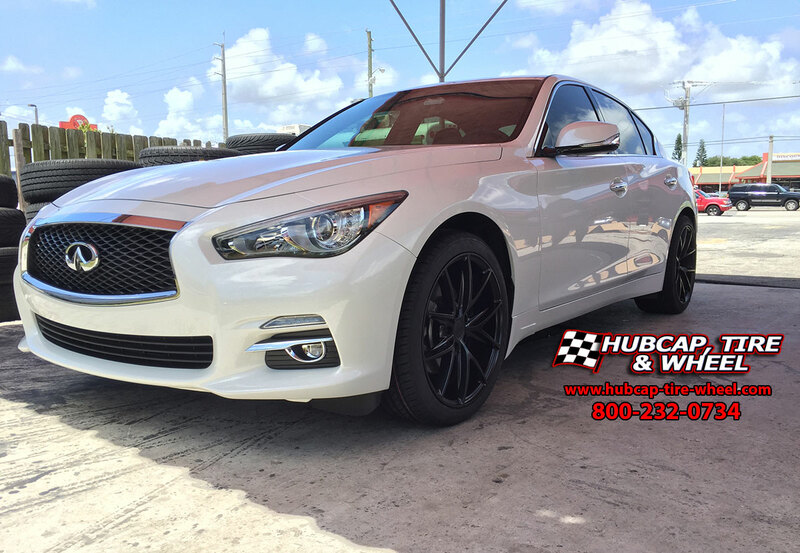 Niche Misano wheels, staggered 19″ in matte black, on 2016 Infiniti Q50 with Nankang NS-20 staggered tires. 19″x8″ front, 19″x9.5″ rear. 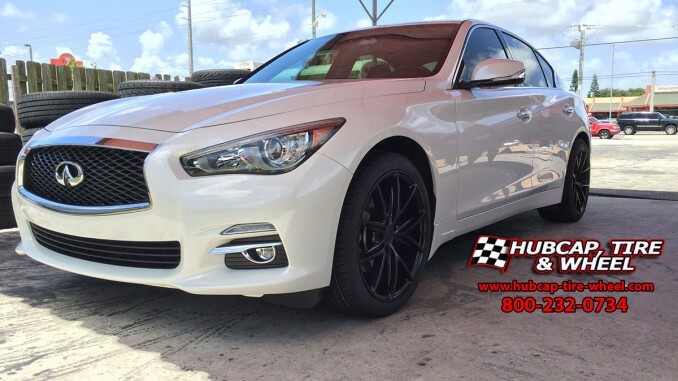 The Niche Misano rim spices up our customer’s brand new Infiniti Q50! This is a stunning car, made even more awesome by the addition of these elegant Niche wheels and Nankang tires. They give the car that high-end look, with unbeatable custom style. With these rims, our happy customer is ready to rock the city with these super-modern rims. Front: 19″x8″. Rear: 19″x9.5″. Staggered fitment. 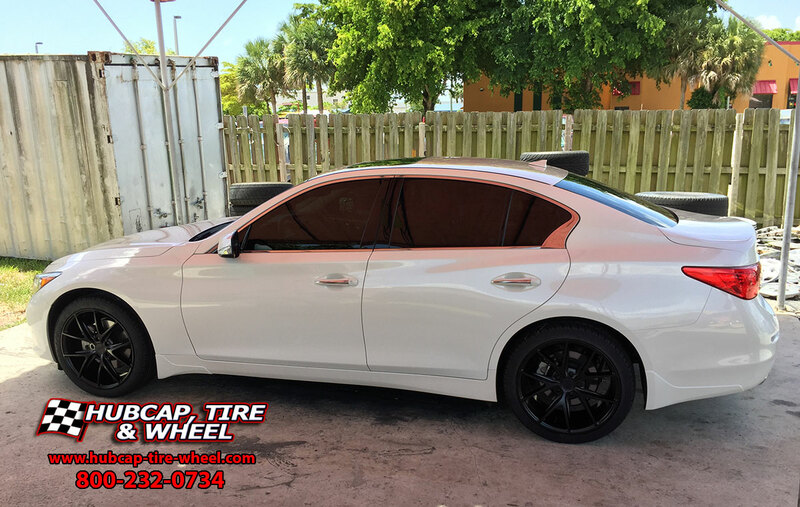 To get some rims like these for your car or SUV, call us at 800-232-0734. 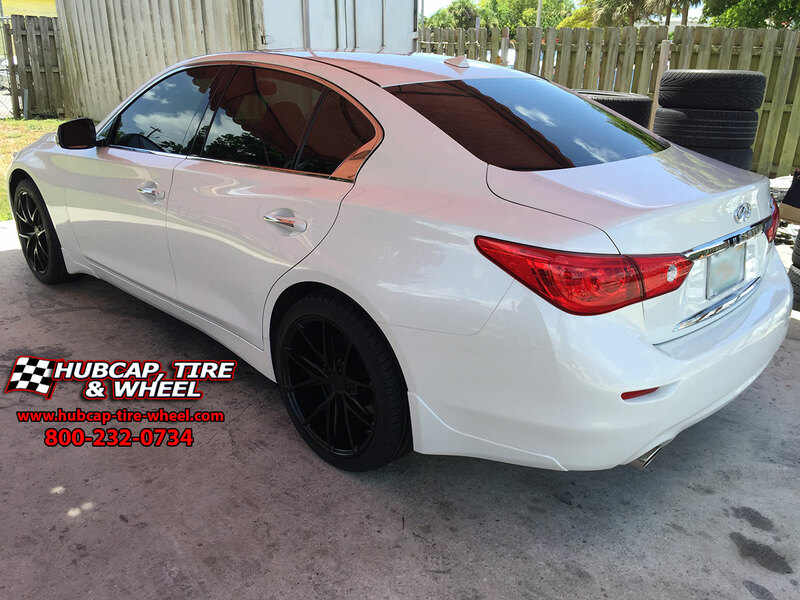 Our team has decades of expert knowledge in the wheel and tire business, and we’ll get you the perfect wheels for your car or SUV. We guarantee fitment!